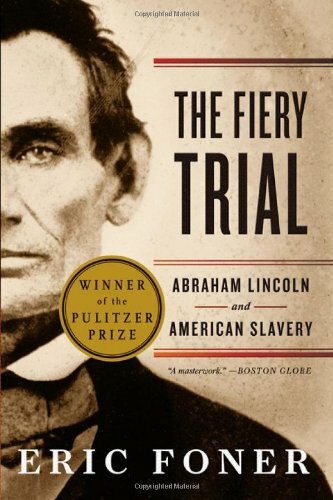 Eric Foner’s The Fiery Trial examines Abraham Lincoln’s views on American slavery, southern secession and the convergence of events that produced the Emancipation Proclamation. Although Foner’s narrative relies on speeches, correspondence and newspaper materials many scholars have previously engaged, the author seeks a new “Lincoln in motion” by “tracking the development of his ideas and beliefs.” Rather than framing emancipation as an inevitable outcome, Foner approaches it as a confluence of both ideological and contingent forces: Lincoln’s personal desire to curtail slavery, the military necessity of destroying its economic value and, above all, the President’s determination to preserve the Union. Beginning with Lincoln’s childhood years in Kentucky, Foner’s sees in the future President a moderate temperament and perpetual anxiety over division—a judicious disposition that helped shape his views on slavery. As a state legislator, Lincoln spoke out against the institution’s divisive nature, anticipating its potential to threaten America’s social and political stability. However, the author is careful not to cast Lincoln as an arbiter of total race equality, revealing instances in which he was all too willing to engage, and manipulate, contemporary racial ideologies. One notable example is the presidential campaign of 1858, during which Lincoln accused the Democratic candidate, Franklin Pierce, of encouraging racial “amalgamation” by opposing the Fugitive Slave Act. Foner depicts these attitudes as fairly ordinary within the Republican Party of antebellum America, at that moment between “radical abolitionism” and the Democratic Party’s virulent racism. At The Fiery Trial’s conclusion, Foner directly challenges the dominant view of the Emancipation Proclamation, namely that it represented a uniquely progressive decision impelled solely by the moral evil of slavery. Stressing the document’s political and military objectives, Foner depicts the pronouncement as one final effort to entice slaveholders back into the union. Although its language eschewed the gradualism of Lincoln’s earlier views on abolition, the Proclamation’s emancipatory edict was borne out of wartime necessity. In addition to providing fresh soldiers for the Union cause, it effectively gutted the Confederacy’s labor pool and, by extension, larger economic system. 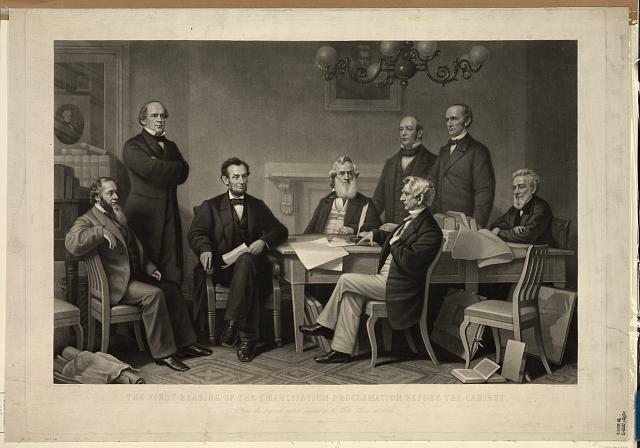 Foner ultimately portrays the Emancipation Proclamation as a pragmatic means of achieving both political and military objectives; and very much in keeping with Lincoln’s inclination to be “propelled” by provisional events rather than moral imperative. Lincoln himself even acknowledged as much: “I claim not to have controlled events…but confess plainly that events have controlled me.” By forgoing the inevitability of emancipation, Foner removes Abraham Lincoln from the idealism of history and recasts the 16th President as a practical administrator, intent on restoring political control over the United States. Emancipation, despite its broader significance in American history, was a means of attaining that outcome. Our blog post debating the origins of the American Civil War. George Forgie’s offers a list of his favorite history books about the Civil War. Kristie Flannery reviews a book about the very visible legacy of the American Civil War. Professor Jacqueline Jones talks about her latest book Saving Savannah.